I'm back from the first Climate Engineering Conference, held in Berlin. Quite a good trip, but in many ways the highlight was the talk I gave at the Berlin Natural History Museum. The gathering took place in the dinosaur room, which holds (among other treasures) the "Berlin Specimen" Archaeopteryx fossil, among the most famous and most important fossils ever discovered. I’ve been doing foresight work for the past 20 years or so, and put simply, my job is to look at the big picture. To get away from the perspective of quarterly results and short horizon thinking. To break away from conventional points of view by stepping way back. Unsurprisingly, these days much of my work focuses on climate disruption and topics like geoengineering. But here’s the secret: in planetary terms, our actions don’t actually matter that much in the long run. The Earth, as a planet, as a global ecological system, will – over time – be just fine. After all, it’s dealt with worse than us. Environmental scientists may call the current era the “sixth extinction,” but human civilization is still pretty much a comparative amateur when it comes to wiping out the Earth’s species. Given that there’s a past extinction event called The Great Dying, responsible for killing off possibly 90% of the species on the Earth at the time, arguably we’re nowhere near as dangerous to nature as nature is itself. But here’s the thing: even after the Great Dying, life came back and, over time, flourished. Every extinction event has eventually become the catalyst for a new surge in life. Given time, evolution works. Environmental niches get filled. Species emerge and change to take full advantage of new planetary conditions. The animals and plants we worry will disappear as the result of human carelessness and ignorance are, in evolutionary terms, only temporary residents of the world – ephemeral, just like we are. The image we have in our heads of what the global environment looks like today is just that – a static snapshot of a dynamic system. This realization – that the Earth will abide, no matter our mistakes – may seem liberating but is actually quite sobering. Because what this knowledge tells us isn’t that we’re free to do what we will, but that the brutal strength of our fears about what human activity is doing to our world comes from its effect on us. The Earth may be fine, but the fragile webs connecting human civilization to the planet’s ecosystems won’t be. We don’t need to worry about driving the bees to the edge of extinction because the Earth will somehow be harmed; given time, evolution will fill that niche. We need to worry about the bees because without them our ability to feed ourselves will be eviscerated. Any anxiety we have about the creation of ocean dead zones or the collapse of fisheries is really about what these conditions will do to humanity, to the ability of seven-plus billion people to survive. And the dangers from global temperatures rising by five or more degrees over the course of just a century – an increase so fast in geologic terms it seems as if humanity is somehow the warming equivalent of an asteroid hitting the planet – these dangers will simply make it impossible for human civilization to continue on its current path. So, does that mean civilization will collapse? Probably not. Humans are reasonably smart. As a species, we’ve survived massive natural environmental disruption before, and with less knowledge and fewer tools than we have today. But that’s not the whole story. When writer William Gibson said that “the future is here, it’s just not evenly distributed,” he wasn’t just talking about technology. Imbalances in resources, in power, in luck all mean that a majority of the world’s population already lives on the precarious edge of catastrophe. From my “big picture” futurist point of view, it’s easy to say that we’ll adapt. But for far too many of us, that process of forced adaptation will be tragic, and painful, and deadly. Saying that the Earth will be fine isn’t an attempt to absolve ourselves of responsibility for the harm that we’ve done to the planet. Rather, it’s a blunt acknowledgement that the concerns we have about the world are ultimately – and, I think, appropriately – selfish. 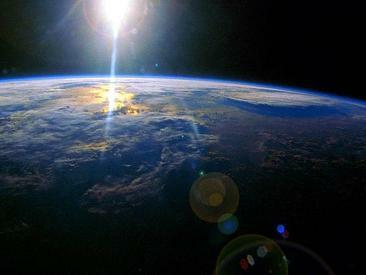 The health of the environment, here in this moment of the Anthropocene, is directly connected to the health of human civilization. We’re not separate from nature, we’re very much a part of it; in every sense that matters the well-being of the Earth is thoroughly, intimately, interwoven with our future. In other words, when we harm the planet today, we are really harming ourselves over the long tomorrow. So, the second announcement can now be revealed: I'm one of the speakers at the 2014 TEDx Marin event on September 18. I'll be talking about the Magna Cortica, and will be speaking alongside my IFTF colleague Miriam Lueck Avery (talking about the microbiome), CEO of the Center for Investigative Reporting Joaquin Alvorado (talking about reinventing journalism), UC Berkeley Professor Ananya Roy (talking about patriarchy and power), and Kenyatta Leal, former San Quentin inmate (talking about how education and entrepreneurship can transform prison). TEDx events can be a bit of a gamble; there have been enough low-quality, misinformation-driven speakers that I've generally steered clear of all of them. TEDx Marin, however, looks to have a solid history of picking good, smart people to offer interesting and provocative observations -- without veering into controversy for controversy's sake. Tickets are limited, run about $70, and will only be available through August 5. Come out and say hi! In August, I'll be speaking in Berlin, Germany at the Climate Engineering Conference 2014. A major multi-day event, CEC2014 covers the gamut of climate engineering/geoengineering issues, from science to policy to media. I'm on two panels, and then a special extra event. Natural climate change is a well-understood driver of natural selection & evolution; it stands to reason, then, that human-driven climate change can be a driver of human-directed evolution. I’ll look at some of the implications of directed evolution as a tool for climate adaptation, and the parallels between climate engineering and biosystem engineering. 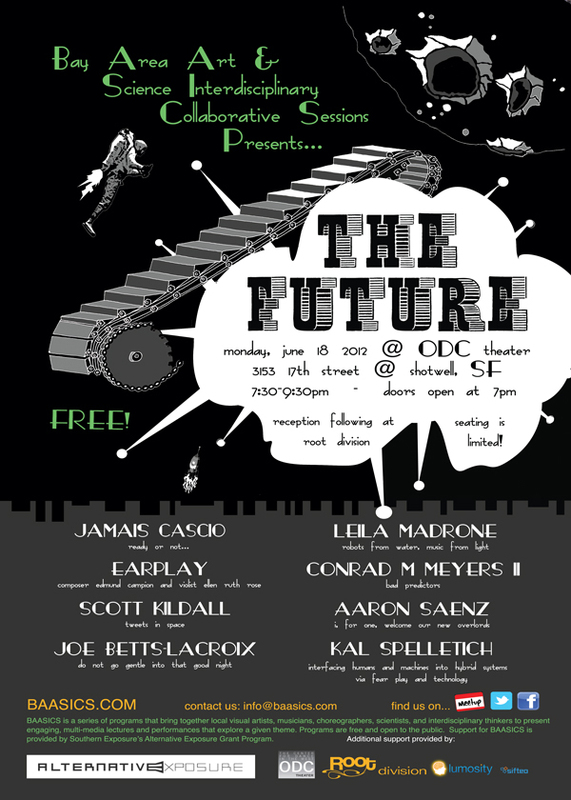 On Thursday August 21, I'll be on the panel entitled CLIMATE ENGINEERING IN POPULAR CULTURE: ART, MEDIA, GAMES, AND FICTION, talking about my experiences with Project Bluebird and other gaming/simulation exercises. 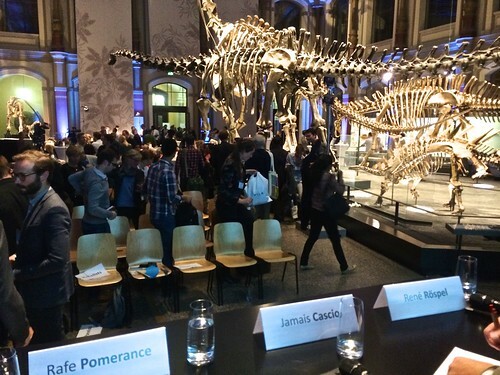 And most notably, the evening of Tuesday August 19 I'll be speaking at the Berlin Natural History Museum. I believe this one will be open to the public. I'll actually be in Berlin for the entire week, so if any German/EU readers want to ping me about giving a talk nearby, please do let me know. There are a couple more items I'll be announcing soon, so stay tuned -- same Bat-Time, same Bat-Channel. It's the big question for the century: how do we manage human society across the planet as the planet itself becomes increasingly hostile? Geophysical systems are complex, slow (in human terms), and deeply interconnected -- exactly the combination of conditions that our existing systems of governance can't handle. Simply continuing to operate as if nothing is changing at a point when everything is changing is a recipe for disaster. Jake Dunagan has proposed a panel for South by Southwest Interactive 2014 to explore this very question, and asked me to be on it. Here's the tricky part: the selection of the panel depends (in part) on community support. In other words, if you think this is a useful or important idea, you need to vote for the panel. Welcome to the Anthropocene, a geological epoch defined by humans and human activities. Humans are a global geological and evolutionary force, yet our economies, social formations, consumption patterns, and governments operate with intentional blindness to this enormous power and responsibility. The institutions that support human civilization, many of which have caused the global challenges we face today, do not appear capable of adapting successfully to 21st century realities. What is needed is a global movement to re-think and re-design governance for the Anthropocene epoch. The current lineup is Jake Dunagan, Victor Galaz of the Stockholm Resilience Centre, and myself, with more names to come. Managing the climate in the face of global warming is a wicked problem with almost no precedent. Given the global nature of the problem, no one nation can solve it without getting virtually all other nations involved. Even if Americans stopped driving cars and eating meat en masse tomorrow, it would not make much of a dent if the Chinese kept burning coal at their mad pace. India, Japan, even Canada all play outsized roles. [...] During this roundtable we will face up to this extremely difficult problem and talk about how to Reinvent Climate Management. What would a system of global governance look like that’s up to the true challenges ahead? What kind of authority would it need? If actors like rogue nations or geoengineering tech titans broke the rules, what could be done? We’ll look at a range of possibilities, including those that don’t involve big government. Is there a bottom-up way forward? One led by corporations? It's a pretty good set of participants: Dawn Danby, Ramez Naam, David Brin, Alan Robock, Gil Friend, and Oliver Morton, along with me and the ReInventors.net ringleader, Peter Leyden. I honestly have no idea how far we'll get with this discussion. We know that the current model for dealing with global climate issues is broken, but most of the alternatives -- such as solar radiation management geoengineering or militarization of environmental management -- seem more like knee-jerk reactions from desperation rather than a smart, long-term system for stability. My hope is that a roundtable of smart, interesting people will be able to envision something usefully transcendent (or, failing that, at least useful). We know what we should be doing, but we're derailed by external forces and our own internal drivers and addictions. For decades now I've heard smart people talk about compelling solutions, but there's no market for real salvation. Gravity defeats us. And yet we persevere, we survive, and sometimes we even thrive. A few years ago, for one of the Institute for the Future Ten-Year Forecast events, I presented (as a post-dinner talk) a set of three fifty-year forecasts. All were uncomfortable in their own ways -- one emphasized disruptive technologies, one bottom-up actors (both for good and not so much), one transnational large-scale action. The audience could pick any one of them as the "happy" story, any one of them as the "scary" story -- but each offered very serious challenges to the status quo. There's one more scenario I want to talk about, another fifty-year scenario. It starts, of course, with a global economic downturn, one lasting much longer than anyone expects. We slowly come out of, and see an explosion of new technological development; but in concert with that, more instability. Regional conflicts and military strategies getting accustomed to new technologies lead into an almost accidental war, which escalates to the point of fighting all over the world. Chemical weapons get used. Just as the war ends, we see the rise of a global pandemic. The combination of conflict and disease leads to what some call a "lost generation," millions of people in their 20s and 30s dead. We finally see an economic boom, though, and for parts of the world, this becomes a glorious time. It doesn't last, of course; an economic collapse even greater than the one a few decades earlier takes hold, driving hyperinflation in some countries, mass unemployment in others. Governments fall, and totalitarian regimes take over, some using ethnic cleansing as a rallying cry. This inevitably leads to another global conflict, even greater than the last, one which ends in a shocking nuclear attack. I've just described 1895 to 1945. This is why I am, ultimately, hopeful about our future. We have lived through terrible, almost unimaginably awful times. We have faced brutality from nature and from ourselves. And we always come back. We learn. We build. We live. I love telling this story to a live audience, describing this scenario -- the shock of recognition is a delight to see. Climate and poverty are wicked problems, it seems to me - hard if not impossible to solve. What's the best way to approach those problems, vs the ones that come in smaller, neater boxes? What makes climate and poverty wicked problems is that they're complex -- complicated + interconnected with other systems -- *and* that they're attached at the root to fundamental political-economic power structures. That is, altering the status quo of climate & poverty will upset power balances; those with the power who stand to lose it will use every bit of that power to hang onto it. So what do we know that can successfully attack a complex system with a great deal of defensive power? Viruses. We have to think like a virus. A retro-virus, to be precise. We need to figure out how to get in, adapt, and rewrite the system. A blunt attack would get shut down quickly; we have to be able to simultaneously weaken the system and redirect defensive resources in a way that makes the system think that it's still working. We need to be able to turn the system against itself. Admittedly, holding high the banner of "we're like a virally-induced auto-immune disorder" isn't going to bring in a lot of money and recruits, but it is a good analogy for the strategy I think is likely to work best. 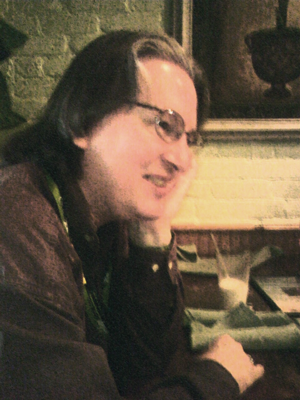 Every year, Bruce Sterling does a masterful job of talking about the "state of the world" at The WELL. For two weeks, Chairman Bruce holds center stage, answering questions and pontificating (as only the former Pope/Emperor of the Viridian movement can). It's great fun. This year, however, the folks at The WELL asked me to do the follow-up conversation: a "state of the future" discussion. Two weeks of fun, argumentation, and a nagging dread of not being as good as Bruce. On December 2, I will be speaking at the 2012 humanity+ conference in San Francisco. Given my frequent dubious reactions to transhumanism as a broad concept (remember, humanity+ is the reimagined World Transhumanist Association), you might wonder why I'm speaking at this event. The answer is in the title of this post -- and the theme of this conference. "Writing the Future" is at the core of what I do, of who I am, and I've long believed in the importance of crafting novel, provocative, and useful articulations of what our futures could hold. This conference will allow me to stand up and speak specifically on this topic, to an audience that will be able to appreciate what I have to say. The other speakers will be covering a fairly broad array of interpretations of the idea of "writing the future," and I can say from experience that many of them are very good presenters, and well worth your time to listen to. I hope that folks in the SF area can check out the conference; it's not free, but the tickets are reasonable for this sort of thing, and the student rate (before Nov 11) is quite good. Me at the Aspen Environment Forum in June. Once again, it appears that I am devoid of shame. If you follow my Twitter stream (or my Flickr account), you'll know that I just got home from a week in Kazakhstan, participating in the Fifth Astana Economic Forum, or AEF. Kazakhstan is a geographically massive but lightly-populated Central Asian country, spinning off 20 years ago from the Soviet Union. Its population is a mix of ethnic Kazakh and ethnic Russian, with both languages spoken almost interchangeably. Economically, it's a big exporter of raw materials, and is apparently sitting on quite a bit of oil and natural gas. Its president Nursultan Nazarbayev, has been in charge since 1990 (and if you're playing along at home, you'll note that this is prior to the split with the USSR), showing no signs of wanting to move along from the position. Astana became Kazakhstan's capitol about a decade ago, shifting rapidly from a sleepy town to a modern city. My first impression upon arrival (one that a couple of other attendees mentioned having) was that of Las Vegas -- lots of bright lights, diverse and showy architecture, all in the middle of desolation. The architectural diversity is worth calling out; if you like unique-looking, retro-futuristic skyscrapers, you'd love Astana. On the surface, Astana seems like any other global city (smooth roads, reliable power, strong mobile signals, etc. ), but just stepping outside the center of the "new city" is a reminder that Kazakhstan is very much a developing nation, one that is heavily dependent upon extractive industries. 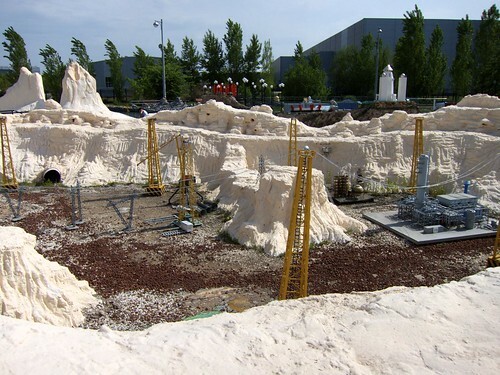 Small but telling example: in the "ethno-memorial complex" called Atameken (a park in the shape of the country, with miniature dioramas depicting aspects of Kazakh society and history), the very first model you see is that of mining/oil drilling. It should come as no surprise, then, that the AEF, which bills itself as being a forum for discussion of "solutions to socio-economical, legal and cultural issues of Kazakhstan and the world's economic development," is so heavily dominated by mining and fossil fuel industries. Again, a small but telling example: in the opening plenary, alongside speeches from Nazarbayev, Prime Minister Edrogan of Turkey, and a UN representative, we got to hear from the CEO of ExxonMobil. One thing that didn't come up was the big presence of China in the oil industry here -- SINOIL is a major refiner, buying up Kazakh oil then selling it back to them as gasoline. In fact, now that I think of it, China -- a country which borders Kazakhstan, and is said to have a bit of importance in the global economy these days -- was conspicuous by its absence throughout the Forum. The panel for which I was a speaker, not a moderator, went much better. But even here, in a panel on sustainable development, much of the conversation orbited around the idea of seeing just how much fossil fuel development Kazakhstan could get away with. My talk (you can see the slides I used here), which went from an originally-scheduled 30 minutes down to 10 minutes, tried to talk about the conditions under which sustainable development would be occurring over the next 20-30 years. Had I known how the panel was to go, I would have done something with more detail on the environmental context. 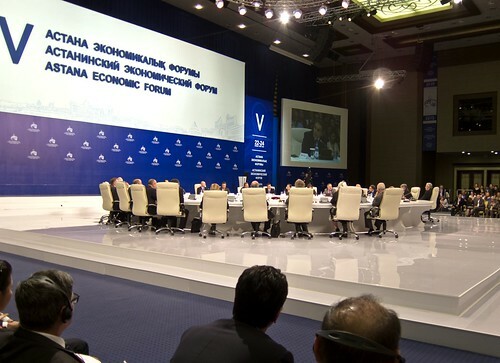 The most notable part of the event was the roundtable discussion on the final night, bringing together political leaders (current and former Prime Ministers and Presidents), a half-dozen Nobel Prize laureates in economics, a couple of executives and a couple of media figures to talk about the world's economic situation. About a quarter of the way in, I started "live tweeting" the event -- I simply couldn't believe what was being said, and I knew that others would have the same kind of aghast reaction. Again, a single telling example: in the 90 minutes of the discussion, unemployment was mentioned once (about 45 minutes in), and briefly, while inequality or similar concepts never came up. What received the most attention was the need for even more austerity (and how to handle the annoying groups of citizens who don't like it), alongside casual discussions of tossing Greece out of the EU. Here's the problem: AEF is a prime example of how the global conversation about development and economics takes place without much regard for anything beyond the interests of the most wealthy and powerful. This is hardly a surprise; what was surprising was the utter lack of subtlety about it. Nobody bats an eye at the obsequiousness of Nobel laureates and global media executives towards the President-for-Life of an up-and-coming petrokleptocracy. Jokes are made about how democracy is ruined by having to rely on voters. The fate of the planet gets decided over bad (and infrequent) coffee and semi-functional translation. And I was there as a witness. After a few years of cajoling, the organizers of the BIL conference (in particular, one Simone Syed) have finally broken me. I will be speaking at BIL 2012, on Saturday March 3. BIL will take place at the Queen Mary in Long Beach, California, and is open to the public. BIL runs in rough parallel to the (*much* more expensive and *much* more formal) TED conference; the pun at the heart of the conference's name ("BIL and TED" huh huh, huh huh) should give you a good reading of the original organizers' demographics and cultural background. But I digress. I'll be giving a short talk -- 15-20 minutes seems to be the guideline -- on an as-yet undetermined topic. Here's where you, gentle reader, come in: what should I talk about? There are some obvious choices, based on stuff I've written about or talked about at length before: geoengineering, human augmentation, ethics and robotics. There are some choices based on stuff I've been mulling for awhile, topics that could either be a big smash or a big flop: social futures, the process of futurism/foresight thinking, what a successful sustainable future could look like. 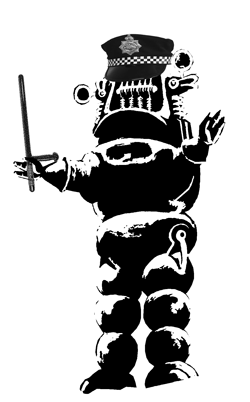 Then there are the concepts I've written about or talked about, but are kind of outside my usual ideaspace: teratocracy, "we are as gods (but mostly like Loki)," the Fermi Paradox. Again, it's only 15-20 minutes, so whatever I talk about will inevitably be more superficial or less detailed than one might wish. On Monday, December 12, I'll be doing a session of Swedish Twitter University. The concept is that I will prepare 25 tweets, each an individual thought (so not broken up over multiple entries), on my topic. There's an associated hashtag (in my case, it will be #STU06), and in between posts I'll be answering questions that come up from those following the "class." It's actually a cool idea, one that takes advantage of the Twitter format in a way that isn't simply trying to reproduce another medium. It pushes the "instructor" to be pithy and concise, and to pare concepts down to their basics. Previous Swedish Twitter University classes include Rachel Armstrong's "Beyond Sustainability," Natalio Kasnogor's "To Boldly Go: Computer Science's Quest to Make Living Matter Algorithms-Friendly," and Jonas Hannestad's "Nature As Technology: Strategies for Nano-Scale, DNA-Based Communication." 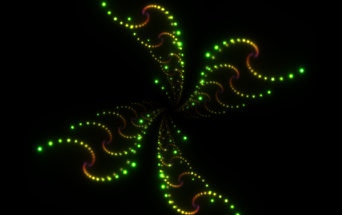 Pretty heady stuff. You just open http://twitter.com/SvTwuni in your browser to follow the presentation. Then go to the http://twitter.com homepage in another browser window, and perform a Twitter-search for the associated hashtag (for example #STU01). Arrange the browser windows next to each other for maximum overview of the event. Everything will be updated in more or less realtime. Or you can put the @SvTwuni-flow in one column and the associated hashtag-flow in another one next to it, if you got a Twitter-client like Tweetdeck or Hootsuite. Do I need a Twitter-account to attend an event? No, not if you just want to lurk and not engage in any discussions… But that’s NOT recommended! This month has proven to be hellaciously swamped, but that's no excuse for disappearing like that. If you can't make it to NYC, you can still follow the livestream of the Social Business Edge conference here. It's a good set of speakers, and I'm really looking forward to hearing what everyone else has to say. 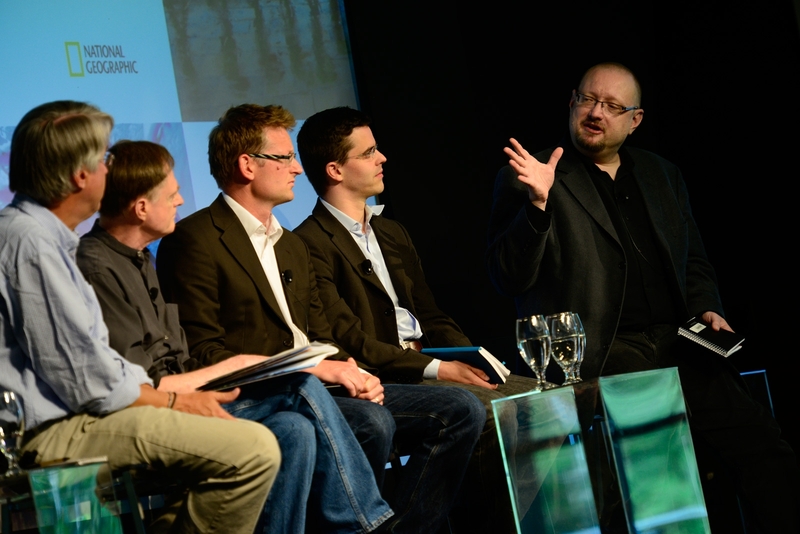 I've also been asked to speak at the Activate Summit 2010, in London. It's put on by The Guardian, and looks to be an effort to put together a UK-based TED-type event. It's definitely a TED-class set of speakers on the roster this time around, so it should be quite fun. It turns out that I was in NYC a bit over a week ago, filming an interview for "Sci-Fi Science: Physics of the Impossible," a show on the Science Channel in the US, and ITV in the UK. My bits won't run until the Summer. It seems to be broadly similar to the "That's Impossible" show I popped up in last year, only this one is hosted by an honest-to-goodness scientist: Michio Kaku. 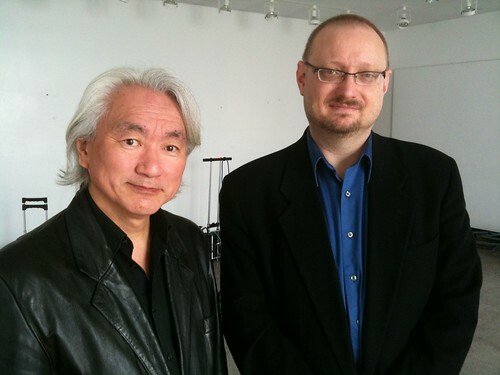 While Dr. Kaku didn't conduct the interview, he was there for it, and he and I had an informal lunch afterwards. Let me say, talking about the Fermi Paradox, the origins of the universe, and boiling spacetime(!) with one of the leading thinkers in string theory was pretty damn cool. For those folks who are interested, here's the Slideshare version of the presentation I gave last week at the Earthquake Engineering Research Institute annual meeting. 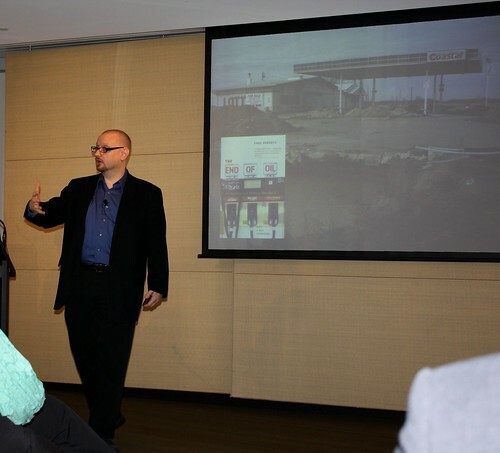 I was asked to talk about foresight thinking, as the event theme was "The Big One of 2056: What Went Right?" a look at a fictional 7.8 quake in the SF region that was handled as well as they could imagine possible. My goal was to offer a bit of reassurance to the audience that there is some real utility to thinking about the future, and to spell out (in a cursory way) the kinds of big picture issues they should keep in mind while looking ahead forty-six years. By and large, it was a successful talk. The post-talk questions were engaged, with little push-back, and I'm told that the overall response from the audience was quite positive. The talk was video recorded, and I'm told will eventually be available to the public. I'll link when that happens. My 2010 calendar is filling up already! February 4: The Earthquake Engineering Research Institute's 2010 Annual Meeting (PDF). Morning keynote. San Francisco. Also February 4: State of Green Business Forum -- "Hacking the Earth Without Voiding its Warranty." San Francisco (just down the street from the previous conference, fortunately). February 13: Information Technology Senior Management Forum 2010 Symposium on Green IT. San Jose. April 19: Social Business Edge, Show 1. New York City. April 26-27: Institute for the Future Ten-Year Forecast. San Francisco. Just as a heads-up to anyone planning on being in Geneva (or in a nearby European location) in early May: I'll be speaking at the 2010 Lift conference. The theme is "What can the Future do for you?" How to go beyond the usual clichés on generations, with Seniors unable to benefit from technology and Millenials ruining their future careers on social networks? What is privacy in the 21st Century? Is personal security threatened by the massive collection of personal data? 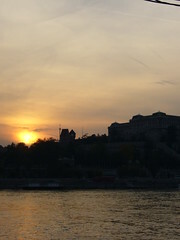 Since 2006 Web 2.0 has celebrated the so-called "amateur revolution". What did we learn in the past 5 years? Are we reaching the limits of Web 2.0? Beyond the much talked-about political campaigns on Facebook, how to turn users into engaged citizens in public action? Newspapers are struggling, TV is not sure of what the future holds. What is at stake nowadays when informing, reaching and involving people? It's shaping up to be a good group of speakers, and I'm definitely looking forward to it. Do let me know if you're going to attend! IEET has announced that Friday's Biopolitics of Popular Culture Seminar (referenced here and here) will be live-streamed for those folks unable to attend in person. Those unable to attend the event in person will be able to follow along in real-time. In order to make all of the valuable information being presented at this week’s “Biopolitics of Popular Culture” seminar available to as many people as possible, the IEET has arranged to have the entire event live-streamed online. It will be shown at this page on the IEET site, and can also be viewed on TechZulu. Times are from 8:30am to 5:30pm PST (11:30am to 8:30pm EST) on Friday, December 4, 2009. This is your chance to learn firsthand from artists, writers, filmmakers, and culture critics whose work plays an important part in shaping our modern society. Come and explore with us the biopolitics that are implicit in depictions of emerging technology in literature, film and television. Take notes, ask questions, watch video clips, and have your say in the discussion. Be sure to register BEFORE November 15th and save 33% -- just $99, which includes continental breakfast and lunch. After November 15 or at the door it's $150. Get all the information at this page and mark the date on your calendar now. I'm happy about this mix of people for a few reasons. The first is that it's not just the same "usual suspects" -- there are folks from a fairly wide array of fields with something to say on the subject. The second is that, atypical for a futures-focused event, the proportion of women on the speaker list is fairly high -- just under a third. The agenda for the event should be posted soon. I've seen a draft, and it looks like it's truly going to rock. Hope to see you there! Join me and a pretty nifty selection of speakers on December 4 at the Biopolitics of Popular Culture event in HOLLYW--er, IRVINE, California. All of the details have been worked out, so now I can talk about it: I will be speaking in New York City on October 3, at the New York Futures Salon. The subject? With their unwavering focus on computing power and digital technology, leading Singularity proponents increasingly define the future in language devoid of politics and culture—thereby missing two of the factors most likely to shape the direction of any technology-driven intelligence explosion. Even if the final result is a "post-human" era, leaving out human elements when describing what leads up to a Singularity isn't just mistaken, it's potentially quite dangerous. It's time to set aside algorithms and avatars, and talk about the truly important issues surrounding the possibility of a Singularity: political power, social responsibility, and the role of human agency. This should provide more than enough fodder for a lively discussion. I'm looking forward to a very special evening. This is, in essence, counter-programming for the Singularity Summit, happening that same weekend (I'm not attending the Summit, fwiw). The 7pm start time for my event gives Summit attendees a chance to come on over after the last Saturday talk. This is the first time I've give a talk on futures in New York, and it's open to the public (via registration for the Future Salon group). Hope to see you there. Presentation #1 done. They scheduled me for 7:30 in the morning, so the crowd was lighter than I expected. Fortunately, my body was still on California time, so 7:30 in the morning felt like early afternoon for me! A few meetings today, then a repeat of the talk tomorrow afternoon. There's an audio recording of the talk out there, but the quality is pretty bad -- wildly variable volume and bursts of static. Hopefully, there will be a cleaned-up version. Here's my slide deck at Slideshare. Many of the slides will be familiar -- as you know, I'm a great believer in recycling. On Wednesday morning, I'll be presenting at AMPLIFY 09 in Sydney, Australia. The topic of my talk? "What if we really COULD change the future for the better?" It's at once a bit unsettling and a bit of a relief to be speaking about this subject again. I've spent so much time, of late, writing about and talking about Big Hairy Crises and Our Failure to Confront Them (tm), that I almost forgot what I should be doing. In a way, it's good that the Atlantic article was delayed so long; it ended up being a nice reminder that not all of my work has to be so dire. Pictures, etc., to follow as usual. Mobile Monday Amsterdam #11 may be the most -- and best -- visually-documented event I've ever done. Both official photos and casual audience pictures captured a good percentage of my talk, as well as some of my pre- and post- activity (or, in some cases, lack of activity). The presentation went well. There should be a couple of videos available shortly -- the official one, and one recorded by Howard Rheingold. Here are the slides for my talk. This is the raw Slideshare version, with a few minor flaws; I'll have to tweak the Keynote document to make a smoother conversion. Here are the slides I used for the Futuresonic 2009 keynote. I made the slides somewhat provocative in tone, but tempered the argument in my spoken presentation. 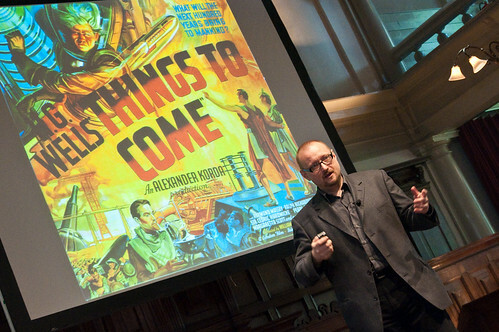 So my keynote at Futuresonic 2009 went reasonably well, with two big caveats: my voice is still weak from the cold I've been fighting, so my infamously Vader-esque presentation baritone wasn't on display; and I had a heckler. A drunken, global warming-denying, belligerent heckler. My 2009 is already filling up! February 18-19: "Expanding the Vision of Sustainable Mobility" Art Center College of Design, Pasadena California. Talk to be determined, but likely about the future of sustainability. March-April: Institute for the Future Ten-Year Forecast events. May 13-16: Futuresonic, Manchester UK (tentative). I'll be talking about the future of the social web with Stowe Boyd. June 1: Mobile Monday, Amsterdam Netherlands. June 13-16: Buckminster Fuller Challenge award event (I'm on the jury). Museum of Contemporary Art, Chicago Illinois. 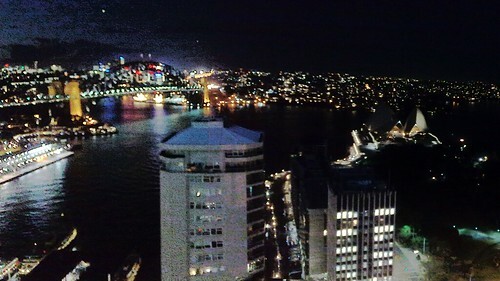 June 22: Innovation Festival, AMP, Sydney Australia. Yeah, that May-June period's gonna be rough. I also have something fun tentatively scheduled for July, but I can't talk about it yet. As I've noted, this weekend I'll be speaking at two different events in the SF Bay Area. I finally have the times for my talks, for those of you wishing to make sure you don't stumble across me by accident. For Global Catastrophic Risks on Friday in Mountain View, I've been convinced somehow to give two presentations, the first at 10am, and the second as a closing set of observations at 4:45pm. I think Hughes got me to agree to this while I was still under the influence of jet lag. I call shenanigans. For the Green Festival San Francisco, I'll be speaking at the "Mezzanine" location at 4pm on Sunday. I'll be talking Green Futures, but I'll be up against Greg Palast and the "Shamanic Cheerleaders," so I suspect the audience will be most generously described as "intimate." Tickets still available for both. Global Catastrophic Risks - Now With More Doom! The program for the Global Catastrophic Risks event, November 14 at the Computer History Museum in Mountain View, California, has been doubled: Now you have 13 people (now only almost all middle-aged white guys) eager to describe in great detail just how royally screwed we are, as a civilization -- and, just maybe, what we can do about it. $100 if you buy your ticket now, $150 after November 1. What's missing? I'm surprised that there isn't something explicitly bio-related on the list, either pandemic disease or engineered bioweaponry. I'd also like to see something about cross-issue reinforcement (i.e., how sub-catastrophic problems can mutually boost each others' awfulness), but that might come up in discussion. Nothing about robots stealing our medicine, either. Maybe next time -- if there IS a next time! Learn all about and try out Superstruct for yourself. It’s the world's first massively-multiplayer forecasting game! FOR NEW PLAYERS: Learn how the game works, register, and complete your first mission. FOR EXPERIENCED PLAYERS: Meet other SEHIs, talk to the game director and scenario director about what should happen next in 2019, earn your next badge, and complete an advanced game mission. Had both of my South-by-Southwest Interactive panels today, "Visualizing Sustainability" and "Futurists' Sandbox: Scenarios for Social Media, 2025." The sustainability panel offered a traditional panel format, and went reasonably well. One of the attendees, Michael Gomez of Green Interfaces, recorded the session with his laptop, and the recording is of surprisingly good quality. Listen to it here (29MB MP3). The futurists' panel was... weird. No, scratch that. It was freaking bizarre. When the recordings and such become available, you'll be able to see for yourself, but just check out the comments on Twitter from people talking about the session: as many people loving it as hating it. As I ended up pre-recording my part of the event, you can download it and give it a listen (6.4MB MP3). Remember, it was arguably the least weird of the bunch. My travel from Wisconsin to Texas went with fewer than expected hitches, and I'm now camped out at Jon Lebkowsky's flat in Austin, here for South by Southwest Interactive. I head back home on Wednesday, and thankfully have few travel plans for awhile thereafter. How can we visualize the city of the future and create more interactive steps that lead to sustainability? How can we use technical simulations and games to build understanding of the resource-balanced world? What's the connection between an emerging Global Sustainable Society and video games? What futures emerge when everything is hyperlocal and the boundaries between what is real and virtual disappear? Will our current social media tools lead us to a participatory panopticon? Take a futurists' tour of emerging social technologies and tap into the collective genius of fellow SXSWers. In this session we'll present four possible scenarios about social technologies in the year 2025 and ask the audience to join us - and each other - in an interactive deep dive to explore the implications of each for the present and the future. 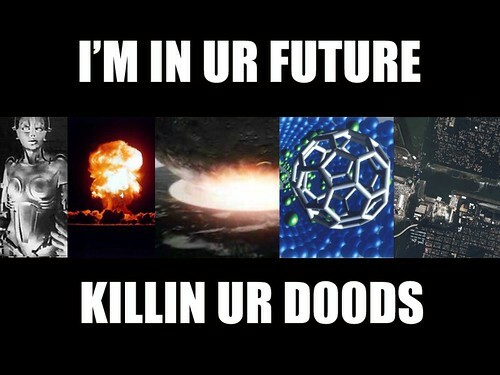 Get out of your seat and into the future! You'll notice two things -- that both of my panels are on the last day, and that my "Core Conversation" on the Participatory Panopticon is nowhere to be found. It turns out that being on two panels bends the rules, so being on three (even if the third was just a poster session) just isn't going to happen. Being that it was easier to replace a poster session than a panelist, bye-bye to the PartiPan. I'll be posting photos from the trip to my Flickr feed, and updates to my Twitter feed -- and will work in some more considered posts here. Oh, and I'm doing much better today. 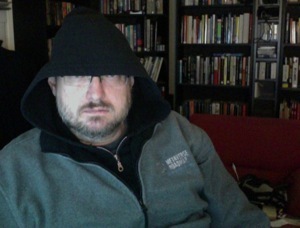 Still have a cough of doom, but it sounds worse than it feels. To sum up: Thursday February 28, 7-9pm, Palo Alto, free. Come by and say hi! In a rapidly-changing, uncertain environment, the ability to think constructively about various future possibilities is more important than ever. "Foresight Specialists", "Scenario Planners", "Trend Spotters" and good old "Futurists" provide a specialized service that few businesses, non-profits, and governments have organically -- and fewer still recognize that they need. I'll talk about why today's futurism has more to do with imagining the possible than thinking the unthinkable, why futurist ethics matters more than futurist economics, and whether futurism might just be the best job out there for the easily-distracted generalist. Writers with Drinks is organized and moderated by Charlie Anders, the editor-in-chief at io9. The Alliance to Save Energy's 2008 Green Campus Energy Efficiency Summit is being held in San Diego, CA on February 10th and 11th. The Summit will begin with a reception on Sunday evening, February 10th, at 6:00 PM at the Town and Country Hotel, followed by a full day of speakers, presentations, and planning sessions on Monday, February 11th, from 8:15 AM through 4:30 PM at San Diego State University. The Green Campus Program builds effective partnerships between students, staff, administrators, and faculty around the common goal of improving campus energy efficiency. Once again, Chairman Bruce weighs in on the insanity wrought in the year past and the hopes, fears, and snarky asides in store for us in 2008. It's part of the Well's "Inkwell" site, viewable by the public and open to questions via email (or directly in the discussion if you're a Well member). My old friend and colleague Jon Lebkowsky is handling the moderation duties. The State of the World conversation will take place ostensibly over the next two weeks, so come by often to see what's new. So: I don't expect too much to happen in 2008: except for that intensified smell of burning as people's feet are held to the fire. "Nothing changes if nothing changes." But if nothing changes, then more and more china is going to flat-out shatter and break. THEN they'll move. If they see somebody making money at it, they might move pretty fast. Our world is small, fragile, and alone in the dark. All we have is each other. Here's to building a future that's resilient, democratic, and open. Last call for "Green Tomorrows." I'm looking forward to the chance to engage an audience with the ongoing evolution of my "sustainability success" scenarios. This web seminar will mix teleconferencing and webconferencing, and will rely on lessons that Gil Friend and Natural Logic have learned by using this system for much of this last year, and that I have learned undertaking a series of remote scenario workshops. I'll be doing a direct presentation for the first half, and a Q&A session for the second half. Join futurist Jamais Cascio for a stimulating webinar -- you can attend from anywhere -- exploring how the sustainability revolution will transform our politics, our economics, and our lives. The process of building a sustainable future follows diverse paths, and the choices we embrace today will shape the future we encounter over the next 20 years. By adopting a scenario planning approach, Cascio will look at what kinds of results we might get, and what kinds of opportunities and surprises those results could have in store. As you might suspect, this isn't a free show, although the price is reasonable (especially for people coming in as part of an organization -- the price is per line, not per listener, so callers are perfectly welcome to use a speakerphone and bring friends). Gil does these web seminars as part of Natural Logic's business, and I'm curious about how well the model links to my other projects. It's certainly a much greener way of doing a presentation -- no air travel required. If you do get a chance to listen in, I'm really eager to get your feedback on both the presentation style and content. This is the working concept for a book -- is it something you'd want to read? On December 20th, I'll be conducting something of an experiment. 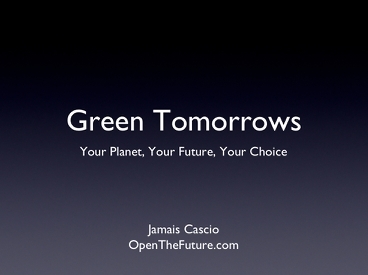 Join futurist Jamais Cascio for a stimulating exploration of how the sustainability revolution will transform our politics, our economics, and our lives. This webinar is part of the ongoing Carbon Neutral Learning™ program from Natural Logic, bring you engaging, practical, up-to-date guidance from leading practitioners. Series host: Gil Friend, Natural Logic CEO. Oh, that. This is why it's an experiment. Gil Friend and Natural Logic have done webinars* on sustainability topics in the past, and they've worked well both as a way of providing information and as a business opportunity. I'm curious about how well the model would work for me. Please pass along the info about this event to people and organizations you think might find this of value. Metaverse Meetup, now with More Information! 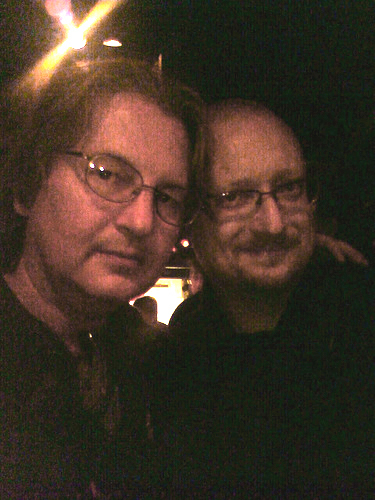 For our second Metaverse Meetup we are truly pleased to present Jamais Cascio one the authors of the Metaverse Roadmap. Our first meetup [with IFTF's Mike Liebhold] turned out to be very well attended by some very interesting people both at Stanford and in Second Life. We know we have an interesting speaker and topic for this second event and once again will open the floor for some nice and geeky conversation afterwards, so please come join us. 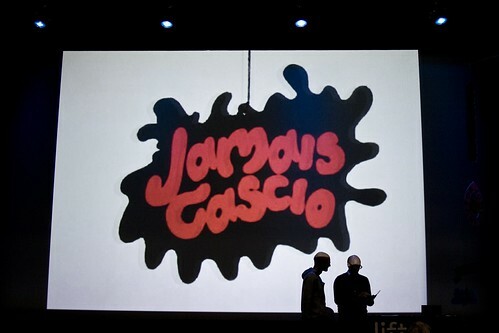 The man: Jamais Cascio writes about the intersection of emerging technologies and cultural transformation, focusing on the importance of long-term, systemic thinking. His work regularly appears both in print and online, and he has spoken around the world on issues such as the global environment, technological transformation, and political change. 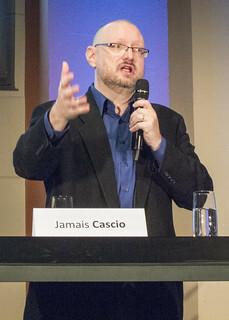 In 2003, Cascio co-founded WorldChanging.com, the Utne Independent Press Award-winning website identifying models, tools, and ideas for building a "bright green" future. 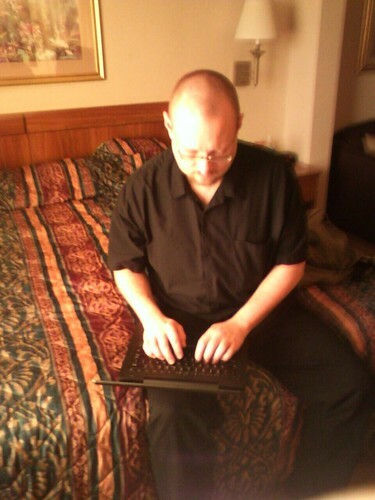 In March, 2006, he started OpenTheFuture.com as his online home. 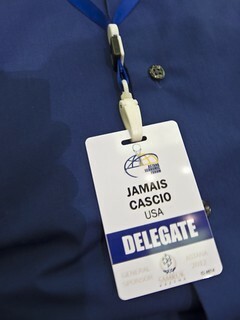 Cascio presently serves as a research affiliate at the Institute for the Future, as the Director of Impacts Analysis for The Center for Responsible Nanotechnology, and as a founding fellow at the Institute for Ethics and Emerging Technologies. The talk: The Metaverse -- what does it include, where is it going, and how will it change our lives? Based on my work for the Metaverse Roadmap Overview, I'll look both at the underlying technologies of the Metaverse and at the social, cultural and economic impacts it could have. Feel very free to forward this email or blog about this. Write me (Henrik Bennetsen - hbe@stanford.edu) if you have any questions. If you can't make it to Stanford on Thursday night, but want to check out the talk live, try the Second Life link. For people unable to make either, a video of the talk will be posted fairly quickly afterwards. Opportunity Green is underway now over, and I'm glad I got a chance to play a role. The event struck me as a case study of the cultural transition underway in the center of gravity of the green movement, from activism to business. This is not a painless change, but arguably a necessary one. If environmentalism is to have a persistent mainstream presence, it has to make the leap from imperative to normative -- that is, from environmentally beneficial action being something driven by guilt or morality to being something commonplace and assumed. The question, for me, is how to navigate that transition without losing the elements of the activist culture that bring energy, enthusiasm, and -- most importantly -- a long-term perspective to the party. The lesson I took from the Opportunity Green event is that activist passion doesn't necessarily translate well into business passion. This is less a result of the transformation from "green movement" to "green markets" than a dilemma inherent in a change in the dominant participats: the most successful voices of the movement are often not as successful as market advocates, and (at the same time) the most effective salespeople are often not as deeply immersed in the underlying science and the complex tapestry of the broader issues. As a result, there's a noticeable tension between these different perspectives. As a result of this conference, I'm increasingly convinced that the core dilemma of sustainability today is how to make environmental responsibility mainstream and normative while responding effectively and quickly to an accelerating crisis. To paraphrase the old tech joke, our situation appears to be: "Rapid response, broad adoption, affordability -- choose two." I suppose I should have held the "Solving the Climate Crisis" post for today. Blog Action Day is a world-wide project to get as many blogs as possible to post today, October 15, about the environment. At last count, over 15,000 sites registered to participate -- and that doesn't include the blogs that post about the environment every day anyway. Blog Action Day is an interesting concept: make the environment a topic of conversation by making it essentially unavoidable for people who read blogs. If it's successful -- and in this kind of effort, success is measured not in practical results, but in levels of participation -- I'd expect to see this become a regular type of event, across a variety of issues. From a foresight perspective, it's been interesting to watch the evolution of the blog format, and the kinds of roles it has come to dominate. Blogs are attention engines, if you will, serving as filters to promote or diminish a panoply of ideas. If a story, a concept, a meme catches hold, it can spread across thousands upon thousands of weblogs in a matter of a few tens of minutes, and even if the perspectives on the given idea vary dramatically, the important point is that this particular story -- Al Gore winning the Nobel, for example -- is suddenly impossible to avoid. Since blogs function to feed conversations, online and off, there's a good chance that what's buzzing in the blogosphere reflects what's important, for that moment, in connected offline communities. There's obviously a long tail aspect to this; certain ideas may be buzzing in the blogs covering a diversity of subjects, and some may be dominant only within particular sub-categories. I find the rise of meta-blog events, like Blog Action Day, to be particularly fascinating. These are attempts to manipulate the attention engine, and in doing so, alter the broader, connected conversation. My suspicion is that the impact of this particular Blog Action Day will be hard to see, lost in the glare of the continued discussion of Al Gore's Nobel Peace Prize win -- that is to say, getting people to talk about the environment is not that hard when people are already talking about the environment. That said, a Blog Action Day that tried to raise an unrelated issue -- the monks in Burma, for example -- would almost certainly fail to change the steamrolling conversation already underway. Blog Action Days, and similar memetic engineering efforts, are likely to be most effective when there isn't currently a dominant story being discussed. We're still in the early days of figuring out how to use this Web thing for good. The point of my trip to Budapest, the Visions of the Future conference brought together representatives from two different Hungarian technology institutions and representatives from the Institute for the Future: research directors Alex SK Pang and Anthony Townsend, along with me. Alex and Anthony discussed some of their current Institute projects, while I -- for the third time in as many weeks -- presented the overview of the 2007 Ten-Year Forecast. 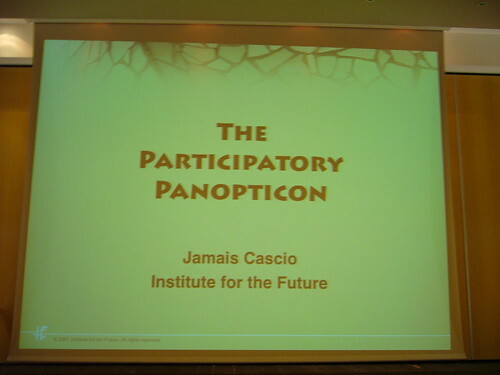 I also got a chance to give an updated version of my Participatory Panopticon talk. For both of my presentations, I went entirely script-less. I don't do this often; I have a writer's appreciation of language precision, and while the way I speak bears a close resemblance to the "voice" of my writing, I know that my scripted presentations end up with a more powerful narrative. Unfortunately, memorization of the scripted pieces is usually not an option, so I end up having to read the presentations. This actually works out reasonably well, but it does reduce my contact with the audience. Because of this -- and because I'm told that I speak more slowly when I'm extemporaneous rather than scripted -- I'm now making more of an effort to go naked (verbally, at least). I'm heading home tomorrow, and amidst the overly-adventurous menus and consultant shmoozery, I think the most memorable moment was a quiet conversation at dinner last night. Speaking with one of the young conference organizers, he told me about the moment 18 years ago when, sitting in a classroom, he listened to a live broadcast of the Hungarian leader's announcement that Hungary had become a republic, and was no longer a de-facto dictatorship. The classroom erupted in cheers, only to fall silent when the teacher asked, simply, "how do you know it will be better?" They don't -- but they know, better or worse, it will now be their choice. Mark your calendars: the first "She's Geeky" unconference is now set for October 22-23, at the Computer History Museum in Mountain View, California. Organized by my colleague Kaliya Hamlin (the so-called "Identity Woman"), She's Geeky will be an opportunity for the growing number of women tech specialists to network and collaborate. What is the value of coming? It should be a great networking opportunity to meet other interesting women who you or your company might do business with. In this format you will get to learn more then you would just having interesting meetings in a hallway like you do at typical conferences that cost a lot more. Not being female, I'm not attending, but this is the kind of event I'm happy to give my whole-hearted support, and I'm pleased that Kaliya asked me to blog about it. Looking out over the audience (and the speaker list) at the Singularity Summit earlier this month, I was reminded just how narrow the perspectives seem to be in the world of tech-centered futurism. Ideas are not determined by the color of one's skin or the shape of the bits in one's pants, but they are shaped by experience. Diversity -- a cognitive and social polyculture, if you will -- gives us strength. On Saturday, November 17, I'll be speaking in Los Angeles at the first annual Opportunity Green conference, looking at the future of "sustainable business." Opportunity Green is being produced in cooperation with UCLA's Sustainable Resource Center. I'm the least business-focused of the four "keynote" speakers, but it looks like it will be an interesting mix of personalities (albeit in the form of four middle-aged white guys... sigh). It appears that I'm now shifting into the "public presentation" section of my work year. I'm reasonably comfortable giving a talk in front of a crowd, but that comfort will definitely be put to the test by this flurry of speeches. They'll be on diverse topics, which means I won't be able to recycle my presentations, but it also means I'll be reaching a wider variety of audiences. November 9: Green Business Conference, in San Francisco, California. 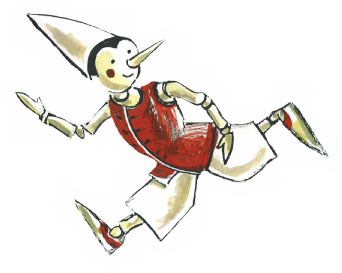 Note that I'm stepping in as a replacement for IFTF's Bob Johansen, the actual author of Get There Early. If you'll be attending any of these, please let me know -- and say hi when you see me. Home now from the mini-vacation, sad that I actually didn't have time to blog while away but relieved that I actually got a chance to relax for a bit. But I digress. If you're at all hooked into the cultural side of the blogosphere, you probably already know that South by Southwest Interactive has just opened up its interactive panel picker for SXSW08. Scan through the 600-odd panel proposals and vote for the ones you'd like to attend, you'd find interesting, or are just being organized by your friends. You have to sign-up for a SXSW voting account -- it's free, and they claim that they will discard the address after the voting period ends in late September without ever bothering you -- so the voting has some minimal security against ballot-stuffing. You see where this is going, I trust. Futurism isn't just for marketing and the military. In a world of rapid change, it's also a way to make smarter choices about one's own life. I'll go through the basics of personal futurism, and make the case that (as Bruce Sterling says) the future isn't a noun, it's a verb. Lifelogging. Participatory Panopticon. Total History. By whatever name, it's a world where everything we do and say can be captured on video -- not by "Big Brother," but by Little Brothers and Sisters carrying cameraphones. Downside: loss of privacy. Upsides: Better memory, better understanding of the world, better politics. Are you ready? If you're so inclined, I'd love to have your vote for my panels. The nice thing about this process is that voting for one panels doesn't eliminate your ability to vote for another -- give all of your online friends and favorite bloggers big SXSW 5-star kisses! ...What are the major challenges to achieving advanced AI? What are the benefits and dangers? How far are we from self-improving AI? How should we prepare for this potentially powerful innovation? These are among the questions that 17 outstanding thinkers will explore and debate at the Singularity Summit, to be held Saturday and Sunday, September 8-9, at the Palace of Fine Arts in San Francisco, California. The summit is organized by the Singularity Institute for Artificial Intelligence, a 501(c)(3) not-for-profit institute in Silicon Valley for the study of safe advanced AI. Tickets can be purchased online for $50 at http://www.singinst.org/summit2007/tickets/. So what am I going to be talking about? You can see my abstract here, among the rest, but in brief, I'll build off the Metaverse Roadmap Overview to look at how different kinds of metaversal environments lead to different kinds of Singularities. The second half of the R.U. 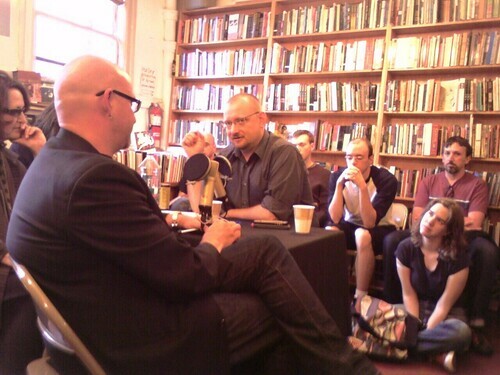 Sirius event at the City Lights bookstore (previously, here, here, and here) is now up at the Neofiles website. Pesco gets a chance to speak, and I continue to talk a lot. I am apparently rather fond of the sound of my own voice. 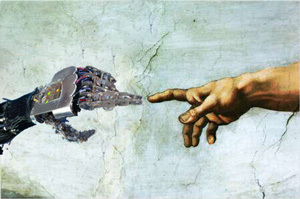 I have to push back on the notion that technology develops itself. I mean, technology... technology is a social process. It's all too common, especially in the circles that we run in, to have the conversations focus on the toys, focus on the technology, the gadgets, and really ignore that these emerge on the basis of social and human decisions. Reminder: On THIS UPCOMING Tuesday, July 24, at 7pm, R.U. Sirius will be recording his radio show at the City Lights Bookstore in San Francisco, in celebration of the release of his new book, True Mutations: Interviews on the Edge of Science, Technology, and Consciousness. Several of the people interviewed for the book, including Annalee Newitz, David Pescovitz, Lynn Hershman and myself, will be there to serve as co-hosts for the show. Update: Annalee has dropped out... but in her place, Howard Rheingold will be there! On Tuesday, July 24, at 7pm, R.U. Sirius will be recording his radio show at the City Lights Bookstore in San Francisco, in celebration of the release of his new book, True Mutations: Interviews on the Edge of Science, Technology, and Consciousness. Several of the people interviewed for the book, including Annalee Newitz, David Pescovitz, Lynn Hershman and myself, will be there to serve as co-hosts for the show. If you're in the area, please come by and say hi! Probably not going to do much posting for the next few days; I'm at the Institute for the Future's Ten-Year Forecast 2007 conference, and won't be coming up for air until Friday. Mark Wallace at 3pointD.com has a pretty darn complete recap of the panel I was on today at South-by-Southwest. 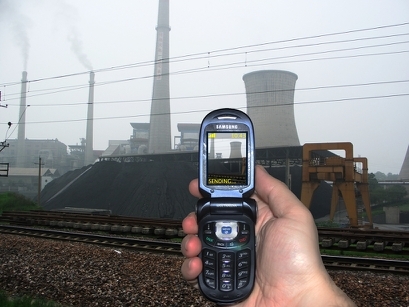 The number one use of user-created content in virtual spaces is the screenshot. (Update:) Another recap of the panel from Tony Walsh at Clickable Culture. In Austin. It's My Birthday. Getting ready to go out to dinner with some friends. Jerry Paffendorf said that he thought I was about ten years younger than I really am. I'll accept that. Tom Friedman just left the stage at PopTech, having talked a bit about about his GeoGreens notion. Friedman frustrates me; his work in the 1980s and early 1990s on the Middle East was remarkable and insightful, but he's lost me with his recent work. His analysis of globalization feels mired in the 20th century -- an amazement about technology coupled with a fixation on top-down authority and very traditional social structures. With his observations and declarations about Iraq turning out to be fatally in error, he's turned to the need for greater sustainability and more renewable energy. And here's where the frustration really hits -- as much as I agree with most of his proposals, his ideas are hardly new (even if he acts like these are novel discoveries and insights), and they're far too timid. The key problem with his approach is that Friedman's observations about the environment get swallowed up by the quite traditional, limited language of international politics. I'm completely convinced that global warming is already having serious political impacts, but Friedman doesn't tell us anything that anyone with open eyes couldn't have seen five years ago -- and he tells us in a way that (as much as he wants to say that he's trying to butch up the terminology) diminishes the importance of the environment. With an emphasis on the geo-strategic aspect of energy, he opens us up to scenarios in which the political problems are solved without much impact on the environmental problems -- and the potential for "solutions" that could even make environmental (and other) problems worse. I understand the use of people like Friedman; when he raises topics, he makes them acceptable for the chattering classes and inside-the-beltway bureaucrats to discuss. That's good, I suppose, but if the allowable discourse on the environment is only about "support for freedom" vs. "support for terrorism," we miss out on opportunities for innovation and solutions that cut across multiple problem categories. We need to think bigger, broader and faster. Fortunately, we can, we will, and more and more of us already do. First day of Pop!Tech, and I've opted not to try live-blogging it, in part because that's not the way I think/work, and in part because some folks do it far better than I could. Case in point: Ethan Zuckerman. His first post detailing the start of the conference is already up, and he does a good job of covering the conversation between Brian Eno and Will Wright. 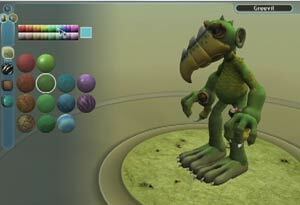 Wright showed Spore, of course, and it keeps looking more astounding every time I see the demo. I could easily imagine myself spending hours on end playing -- as much as I want to get my hands on it, I hope that it doesn't come out until after the IFTF project is done! Kevin Kelly is speaking now, making a surprising argument that technology determines culture more than culture determines technology. My gut reaction is to disagree -- I have a strong bias towards the opposite argument -- but given Kevin's history of insight and observation, I have to take his position seriously. A key element of his piece is that, in conflicts between culture and technology, technology wins pretty much every time. The speaker list at Pop!Tech includes more than a few very familiar faces, and that will undoubtedly be fun. But I'm really hoping to see some new names, and a few presentations on the list look to be definitely worth checking out.  Roger Brent is the Director of the Molecular Sciences Institute, Rob "Carlson Curve" Carlson's old home. He's talking on biohacking and synthetic biology.  Homaru Cantu is a hacker-chef, and this line from his bio just tickles me: Scientific elements such as liquid nitrogen and helium and devices such as a centrifuge and a hand-held ion particle gun make regular appearances in the Moto kitchen. I want my KitchenAid Ion Particle Gun!  Marie-Helene Carleton is a documentary filmmaker, along with her partner Michel Garen. In 2003, as they were finishing a documentary about the looting of archaeological sites in Iraq, Garen was kidnapped. Carleton worked aggressively to bring his release.  Ayaan Hirsi Ali is a Somalia-born Dutch feminist, activist and politician. She's best known as the producer behind the film Submission, a documentary critical of the treatment of women in Islam; the film led to the assassination of its director, Theo van Gogh. She's about to move to the US to join (of all places) the right wing think tank American Enterprise Institute.  Will Wright, creator of a few video games. Have you heard of SimCity and the Sims? Yeah, that Will Wright. His soon-to-be-released game Spore threatens to bring down the collapse of the US innovation economy by forcing technocreative types to stay at home for days or weeks on end building new universes and sharing them online. Those who cannot remember the futurist predictions of the past are condemned to repeat them, usually at conferences. That was the mantra running through my head, at least, during the Metaverse Roadmap Project event last Friday and Saturday. This is not to say that the conference, which included technologists, pundits, academics, journalists, and assorted cross-subject thinkers, wasn't worth the time. It was extremely interesting, in fact, and I'm very happy to have been a part of it. But throughout the discussions, I had this eerie sense of being back in 1996, when the web and the popular Internet began to really show promise -- and technologists, pundits, academics, journalists, and assorted cross-subject thinkers all wanted to be the first to proclaim that the revolution was at hand. The purpose of the Metaverse Roadmap Project (hereafter MVR) was to begin to sketch out the possible evolution of the broad collection of technologies subsumed under the label of the "3D Web." Most of the discussion centered on the 3D virtual world technologies found in games like World of Warcraft and avatar chat environments like Second Life, but the MVR crew quite rightly included people who work on "geospatial web" technologies, too -- location-aware, information-dense systems that layer onto the visible, "physical" world. These are 3D technologies, too, even if they don't use cartoon people and fantasy places. 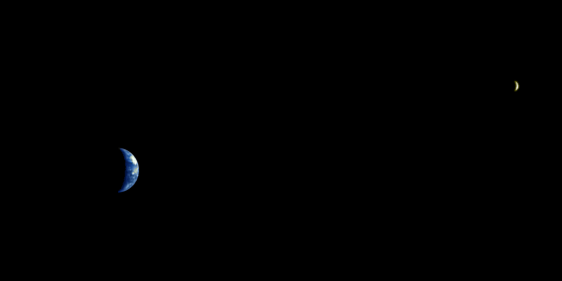 This inclusion of geospatial (or "augmented reality") systems in the metaverse concept allowed the participants to construct a spectrum of scenarios, ranging from the cautiously incremental to the fantastically radical. (I can sum up the latter end of the spectrum in two words: brain implants.) Curiously, the group that fell into the "futurist" affinity group -- me, Esther Dyson, Helen Cheng, Janna Anderson and Randy Moss -- had a strong bias towards the cautious and incremental. I suspect that a great deal of that caution came from having heard technology-drenched proclamations of social revolution before. Fool me once, shame on you; fool me... can't get fooled again. Or something like that. This is rough, early-adopterish, but once you see this you realize a new kind of computing experience is coming. ...All running P2P. No centralized servers needed. It's remarkable. They showed how you could just "step into" a new virtual world. Just move toward something that looks like a window and you "dive into" that Window and are instantly in a new world. In that new world there would be new people, new things to see. Sometimes I pinch myself at what I get to be among the first human beings to experience. Scoble isn't exaggerating -- it was simply that cool. 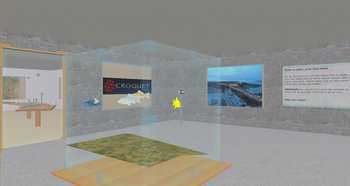 You can download the Open Croquet SDK right now; it runs on Mac, Windows and Linux. Open Croquet wasn't the only technology demo at MVR, just the flashiest. The variety of tools and ideas kicked around this last weekend in Menlo Park made it very clear that the next decade will see an increasing integration of our virtual existence and our physical lives. In the nearly-certain scenario, this will mean an immersive information environment, accessible wherever and whenever, augmenting and enhancing -- but not replacing -- our day to day experiences. In the more-adventurous version, 3D spaces become a common interface for communication and interaction, putting more of our daily lives into virtual settings, but for largely functional reasons (e.g., working from home). I'm really hesitant to go as far as many of my colleagues at MVR; I asked There.com's Betsy Book whether the vision she articulated was meant to portray virtual life as augmentation for physical life, or the physical world as augmentation for our virtual worlds. She answered, "Both," and suggested that a large part of the population will see these synthetic worlds as their real homes. But even if the technology is up to it -- likely, but not certain -- it's hard for me to see the cultural transformation required to make this a reality happen in just a decade. Two aspects of virtual/synthetic/metaversal spaces seemed conspicuous by their relative absence. The first was the distributed awareness technologies of "everyware," "spimes," "things that think" and the like; these aren't directly part of the 3D web, but to the degree that the geospatial and augmented reality components are important, these systems will be seen as part of the package. The second was the fabrication and material production technologies exemplified by 3D printers; as Rebang's Sven Johnson has demonstrated, the connection between the physical and virtual worlds isn't simply a matter of creating digital analogues of material goods -- sometimes, we're going to want physical instantiations of virtual products. To the degree that we shift to just-in-time/local-fabrication economies, the use of synthetic environments to design and test prototype goods could become extremely common. I may not be ready to buy a homestead in Second Second Life, but it's pretty clear that, at the Metaverse Roadmap event, I got a glimpse of tomorrow's digital world. 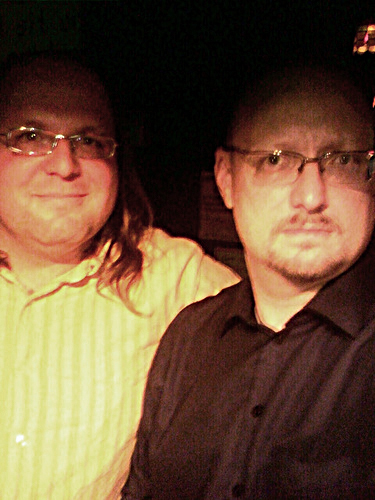 Added bonus: I got a chance to have a good, long conversation with WorldChanging board of directors Chair (and Global Voices conductor) Ethan Zuckerman -- and event photographer John Swords managed to get a decent shot of the two of us. I'll be attending the Jimmy Wales talk for the Long Now Foundation tomorrow night in San Francisco. I'll be in Princeton, New Jersey, from the evening of April 25 through the afternoon of April 27, working on a project for the Robert Wood Johnson Foundation for the Institute for the Future. I'll be in Palo Alto, California, from May 5 through May 6 for the "Metaverse Roadmap" project for the Acceleration Studies Foundation.